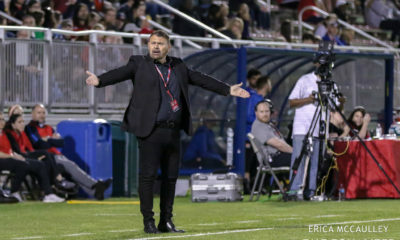 The Boston Breakers, seven points out of a playoff spot with four games to play, fired head coach Lisa Cole on Friday. She will be replaced on an interim basis by defender Cat Whitehill who will serve as player/interim coach. 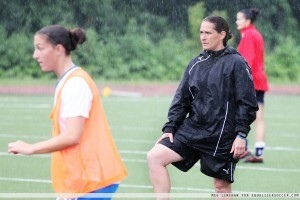 Assistant Maren Rojas also left the club. Cole was with the Breakers since their rebirth when WPS launched in 2009. 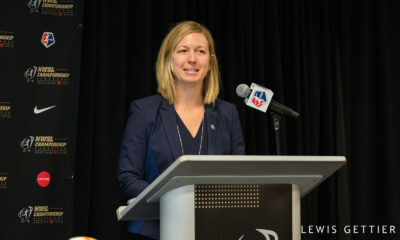 After three years as Tony DiCicco’s assistant she was named head coach for the 2012 season. 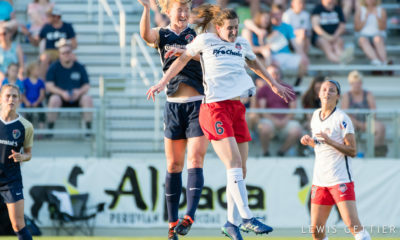 Cole guided the Breakers to a first-place finish in WPSL Elite in 2012 before losing to the Red Stars in the semifinals. This year’s team is 6-7-5 and has been undone by inconsistency on defense both in terms of performance and personnel. The goalkeeper position became an issue early on when 18-year old Cecilia Santiago was allocated to Boston. 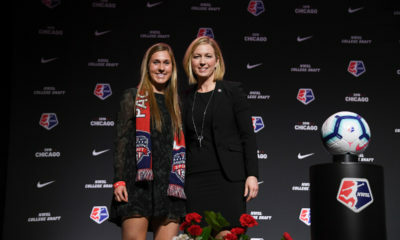 Cole allowed the college and supplemental drafts to pass by without securing a keeper and wound up starting Ashley Phillips, who was initially brought to training camp to assist with other potential goalkeepers. The team eventually signed Alyssa Naeher who has missed the last four games after nasal surgery. Whitehill’s first game at the helm will be Saturday when the Breakers host the Western New York Flash. 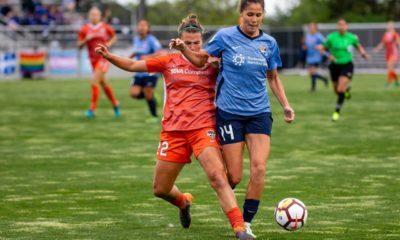 A loss and a win or draw by Sky Blue FC will eliminate the Breakers from playoff contention. Having the team captain take over as head coach is not unprecedented in women’s soccer. In 2009 Sky Blue coach Kelly Lindsey walked out on the team with two games remaining in the regular season and was replaced by Christie Rampone. 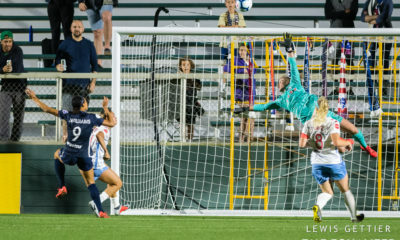 A Breakers loss allowed Sky Blue to sneak into the playoffs where they won three road games and the championship with Rampone calling the shots. More recently Abby Wambach served as player/coach with magicJack in 2011.